Longtime Washington news anchor Jim Vance died of cancer at the age of 75. He has silenced a “smooth voice, brilliant mind and unforgettable laugh,” according to his boss at NBC. Vance anchored the news desk for more than 45 years, breaking records in the industry. Earlier in May, he revealed to colleagues and viewers that he was battling cancer, but did not disclose the exact type. 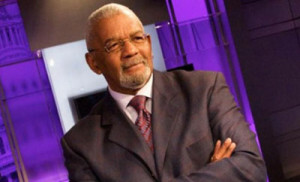 “For more than 45 years, Jim Vance was both the soul of NBC4 and the entire Washington area. His smooth voice, brilliant mind and unforgettable laugh leave each of us with a tremendous void,” station president Jackie Bradford said in a statement. Bradford said Vance “loved his job, his family and Washington with all his heart.” He added that Vance always celebrated the good and acknowledged the parts of life that didn’t go well, which made him a great man. “I’m sad to hear of Jim Vance’s passing. He defined what was best about journalism in DC & never lost the common touch,” former Attorney General Eric Holder tweeted. Vance began his career at The Philadelphia Independent newspaper, according to a biography on the station’s website. He went to NBC4 as a reporter in 1969 before becoming an anchor three years later. He was the area’s longest-serving newscaster, anchoring the 6 p.m. and 11 p.m. broadcasts since 1989. He gained widespread sympathy for being open about his struggles with drugs and depression. Vance received several honors over the course of his career, including induction into the National Association of Black Journalists’ Hall of Fame and 17 Emmy awards. He has left two grandsons and one granddaughter. I can confess that it is not easy working for many years in the same profession. Sustaining motivation can be tough under the best of circumstances. In our busy, distracting world, it’s easy to get blown off in your career, not unless you have a firm objective and a list of the reasons you want to accomplish.